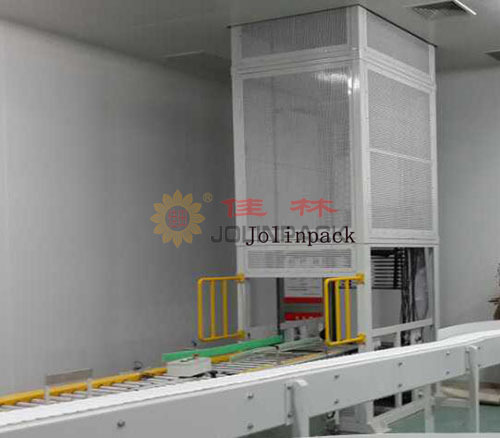 Mainly used to enhance the delivery of continuous box components, according to the inlet spout into Z- direction vertical lift aircraft and two C-type vertical hoist . 1 vertical lift machine at work does not take up shelf return to work beat, high transmission efficiency, and is not affected high-speed transport . 2 pieces of cargo transport only , and the material has a minimum size limit . 3 large load range , up to 2000Kg. 4 . The entrance of transport equipment , the transport process to achieve fully automated, avoiding the instability caused by manual operation . 6 safe, reliable, easy maintenance , low operating costs , reduce transportation costs. Can also be customized according to customer requirements.